Description Matt Bowers Chevrolet is honored to present a wonderful example of pure vehicle design... this 2015 Chevrolet Corvette 1LT only has 0mi on it and could potentially be the vehicle of your dreams! 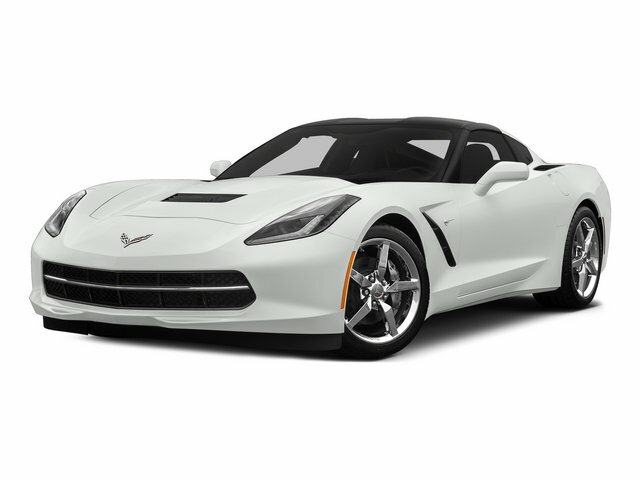 This 2015 Chevrolet Corvette comes with a CARFAX Buyback Guarantee, which means you can buy with certainty. Pull up in the vehicle and the valet will want to parked on the front row. This Chevrolet Corvette is the vehicle others dream to own. Don't miss your chance to make it your new ride. The look is unmistakably Chevrolet, the smooth contours and cutting-edge technology of this Chevrolet Corvette 1LT will definitely turn heads. More information about the 2015 Chevrolet Corvette: The Chevrolet Corvette has always been a performance bargain, and the latest iteration is no exception. With a base MSRP of $54,000, it offers world-class performance and handling at half the price of sports cars from Europe. Even more impressive, the 2015 Corvette delivers amazing fuel economy for a 455-horsepower car, with an EPA-estimated 29 mpg on the highway. Strengths of this model include impressive fuel economy, World-class performance, advanced handling dynamics, unmistakable design, convertible option, improved interior, and incredible value Lifetime warranty is a limited Powertrain Warranty. Owner must follow manufacturers recommended maintenance on new vehicles as per owners manual. Covers select pre-owned vehicles five calendar years old or newer, with 80,000 miles or less. Other restrictions apply. See dealer for warranty details.